So I check my email today, and what pops up? An email from Tessuti announcing their winter range has arrived! Gah! Barely able to contain myself, I jump straight on to the Tessuti online shop for a quick look. There’s so many pretty things! But, unfortunately little miss ZoSews does not have an evergreen money tree, so purchasing must be constrained. With that in mind, I set about choosing some favourites for consideration. 1. Cherry Peaks: Italian Designer 100% Wool Knit. Div-ine! I love this Missoni look. 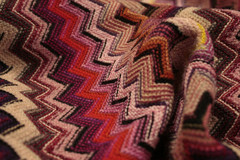 (Is this in fact Missoni fabric? That is the question!) I’m thinking a wonderful zig zaggy maxi dress with this gem. Aren’t the warm, Autumnal colours lovely? 2. 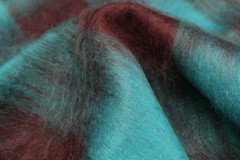 Riverbed: Italian Designer 78% Mohair 13% Wool 9% Nylon. The colours just pop in this fabric. I’m imagining a fabulous coat, a swing coat…mmmm fabulous swing coat. 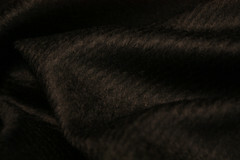 There’s also a purple and black version of this fabric available – Lavender Forest. Have you looked at Tessuti’s new range? Which are your favourites? P.P.S – For those who love sewing news, I just received an email saying Kwik Sew Patterns are now part of the The McCall Pattern Company. Thanks for the heads up on the new range – I really need to sign up for their email updates! And oh lordy, what a gorgeous array of fabrics. From yours, I personally LOVE the missoni style knit. Perfect for autumn, like you said. I’m off to browse the newbies! Like Nike say – just do it. It won’t be regretted! Lol and mine! So much for my crack down on spending…!